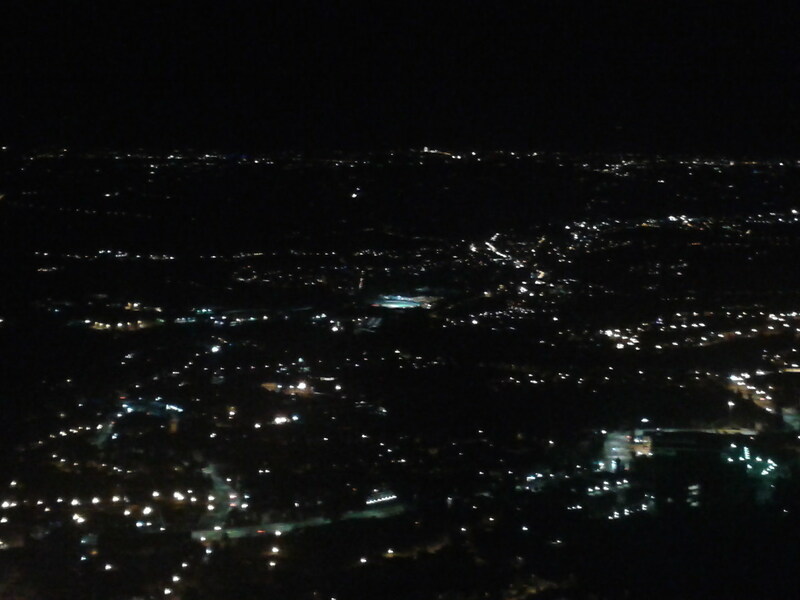 San Marino is one of the world's smallest countries, not only in terms of size and population, but also in a footballing sense. The history of football in the republic dates from 1920, and the oldest surviving club, Libertas, was founded in September 1928. 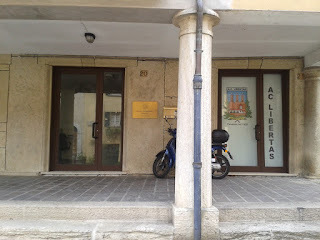 Libertas hail from the town of Borgo Maggiore, where the first football pitch in the country was constructed in 1922. 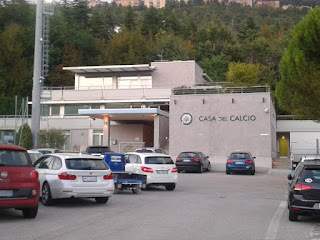 The club won the inaugural Coppa Titano (San Marino FA Cup) in 1937 and have won it ten times since - they actually won the first six editions of the competition, though they took place only sporadically until the Coppa Titano became an annual event from 1961 onwards; their most recent success in the competition was in 2014. 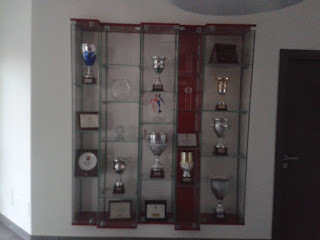 Their sole league title win came in 1994. 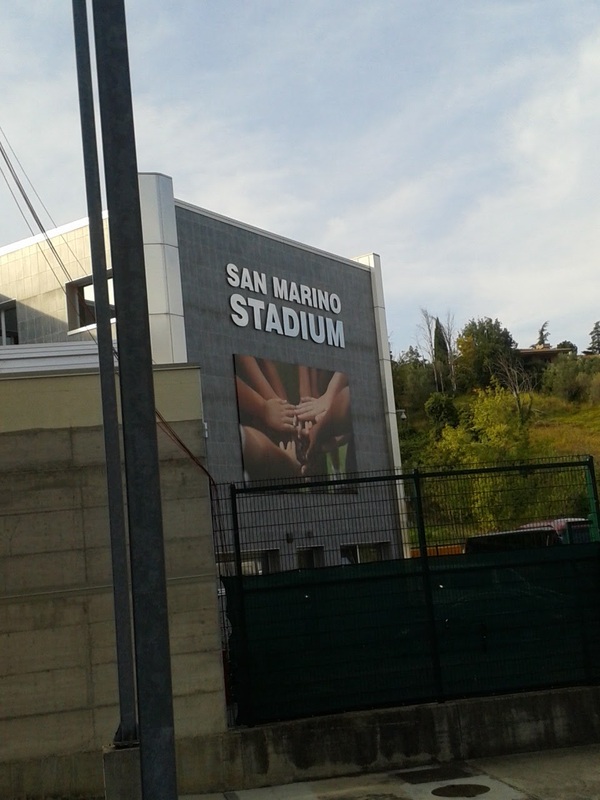 The first club to win the San Marino league championship - which was instigated in 1985 - was Faetano, but the most successful club to date has been Tre Fiori, though their last championship win came in 2010-11. 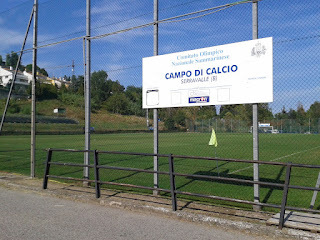 The current champions are Tre Penne, who have won the title three times in the last five years. Libertas remain the most successful club with regard to the Coppa Titano with their eleven cup wins, though La Fiorita are the current cup specialists, having won three out of the last five editions. 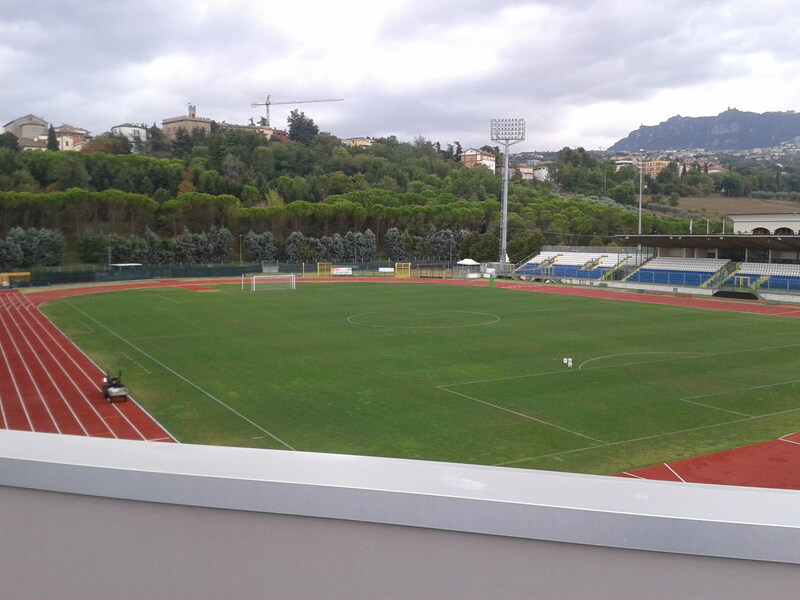 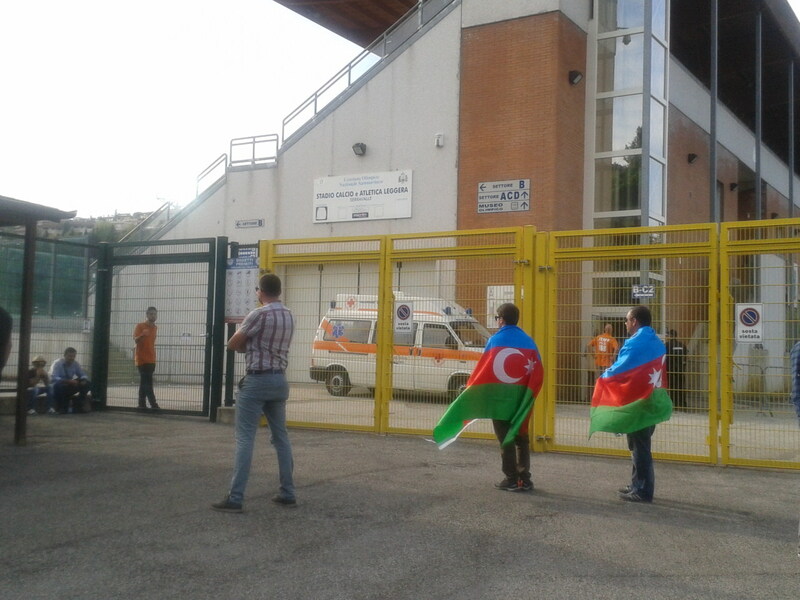 Fifteen clubs currently participate in the Campeonato Dilletanti Sammarinese, and Serie C club Calcio San Marino operate out of the Stadio Olimpico (capacity 7000). 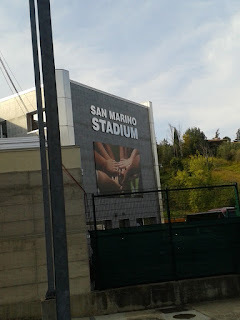 The San Marino FA (Federazione Giuoco Calcio Sammarinese) was founded in 1931, and runs not only league and FA Cup competitions, with the first proper league championship, which was won by Faetano, kicking off in 1985, but also organises the annual Trofeo Federale (Super Cup). 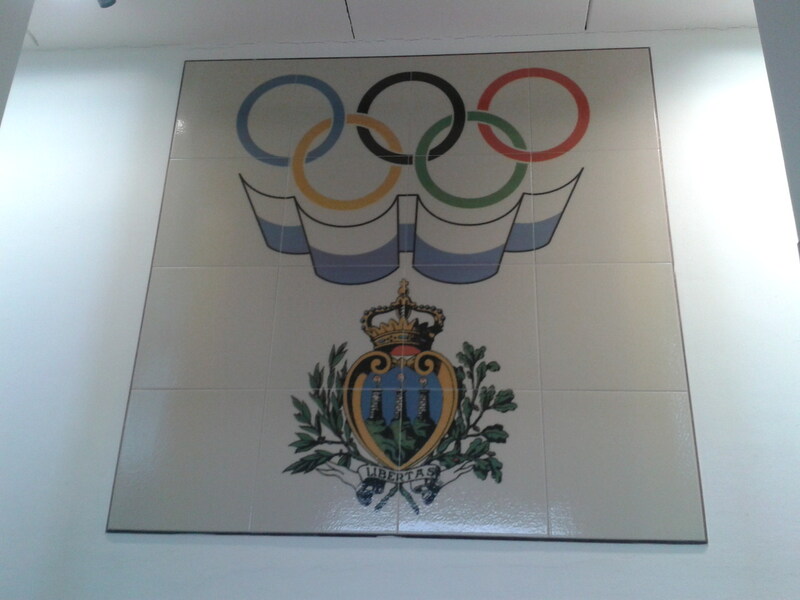 The FSGC is one of thirty-two member associations belonging to the San Marino Olympic Committee (CONS). 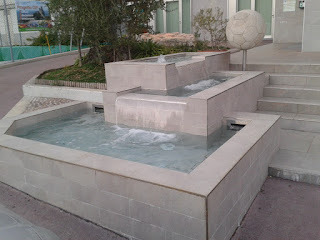 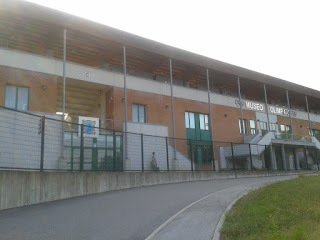 During the 1960s, work commenced on a sports and leisure complex at Serravalle, which was inaugurated on 24 August 1969. The ground was known as the Campo Sportivo Serravalle until 1985, when, in the run-up to San Marino hosting the inaugural Games of the Small States of Europe, the ground's name was changed to the Stadio Olimpico. 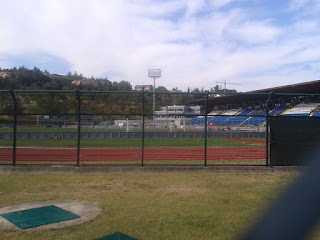 The stadium was also the scene of San Marino's first-ever senior international football match which took place on 28 March the following year, when they lost 1:0 to the Canadian Olympic team. The team included the second Sammarinese footballer to play in Italy´s Seria A (the first - by only a matter of weeks - was Massimo Bonini in 1979), Marco Macina. 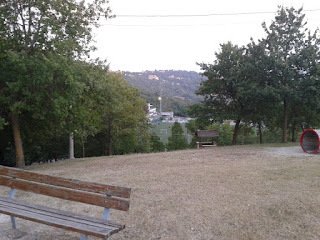 Macina, who started his career at local side Tre Penne, was the first native of San Marino to represent Italy at international football when he was one of the team who won the European Under-16 title in 1982, scoring the winner in the final against West Germany. 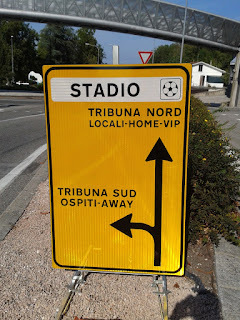 He - and Bonini - also played in San Marino's first competitive European Championship match at the Stadio Olimpico against Switzerland on 14 November 1990, which was won 4:0 by the visitors. 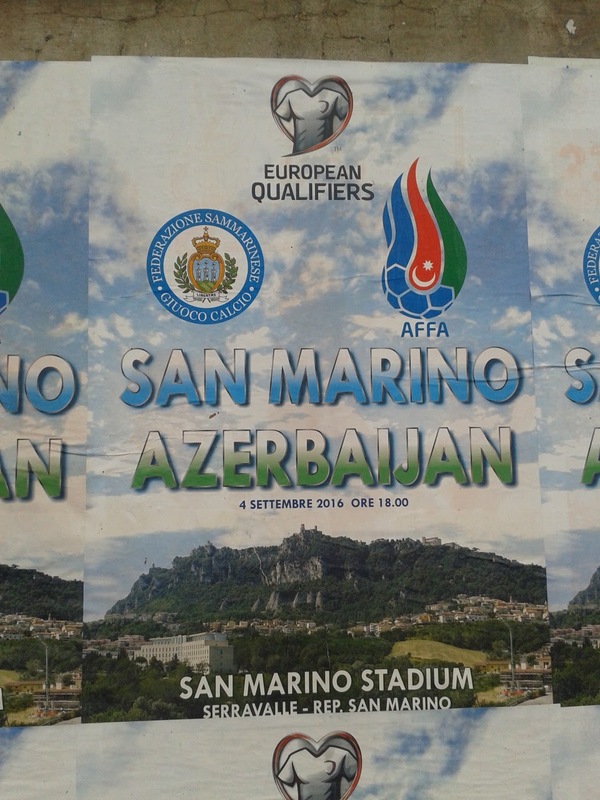 Sadly, the next match for San Marino, a 6:0 defeat away to Romania a month later, was to be Macina's last for San Marino. Bonini went on to captain and manage the national side, and has apparently thrown his hat into the ring for the upcoming election for the post of FSGC (San Marino FA) president. 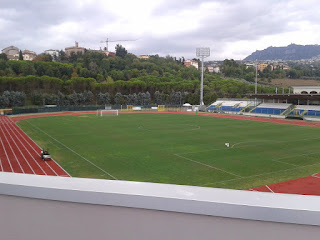 Behind the Stadio Olimpico's Tribuna Nord is the Campo di Calcio, which is, on occasion, also used for league and cup games. It has a tiny stand with a capacity of 80, although the ground apparently has a total capacity of 700. The Campo Sportivo di Montecchio, at Fonte dell'Ovo, was inaugurated in 1984 and is used for league and cup matches, and also as a training-ground by clubs such as Tre Penne, La Fiorita and Pennarossa. 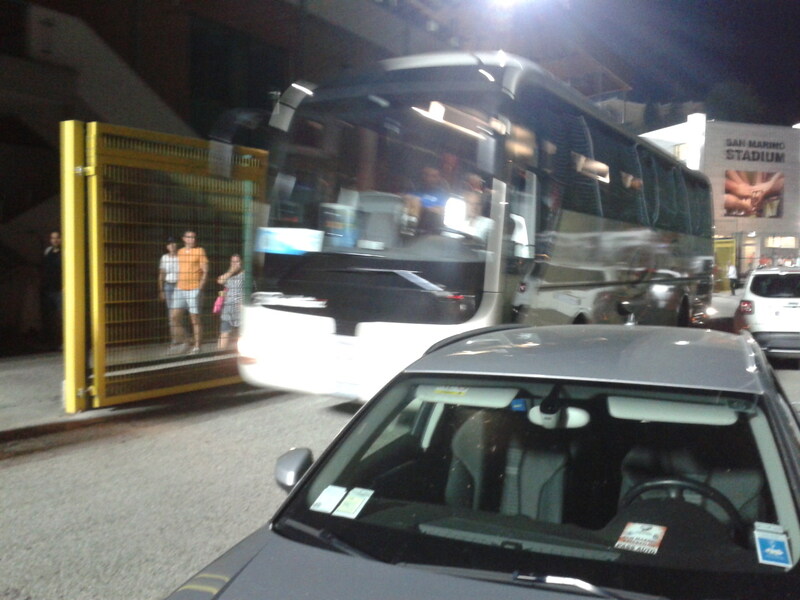 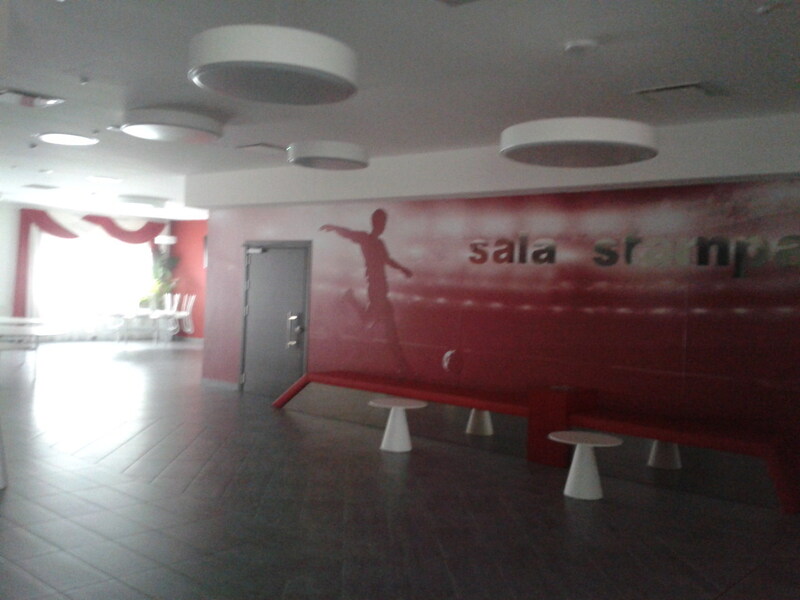 Next door is the country's tennis stadium, the Centro Tennis Cassa di Risparmio, which has a capacity of 3500. 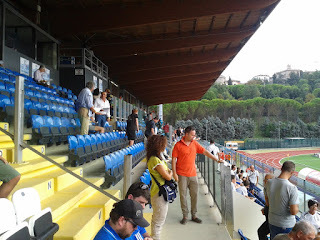 The football ground is somewhat more modest; it has one stand with a capacity of 500. If you look down from Monte Titano, you will have a bird's eye view of the Campo di Calcio Borgo Maggiore, alternatively known as Sotto di Monte, which may or may not have been the first football pitch to be built in San Marino, but was inaugurated in 1931. 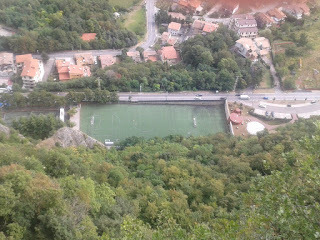 The pitch (measurements 70 metres by 33) is now deemed too small for hosting league or cup matches, but is still used for youth football. Apart from the football grounds pictured above, league and cup matches also take place at the Stadio Federico Crescentini in Fiorentino, regarded as San Marino's second stadium with a capacity of 700, including a stand seating 350 - the ground was given the name of a Sammarinese footballer who died in Mexico in 2006, the Campo Sportivo di Chiesanuova and the Campo Sportivo di Dogana, which was opened in 1981. 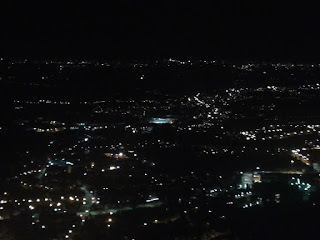 AUTHOR'S NOTE: All photographs in the above article are author's own, and may be used on condition that the source is acknowledged and a copy of any link (article) where any photographs used is forwarded. The information contained in said article was gleaned from, among other sources, Wikipedia, the FSGC and CONS websites and the books "Lo Sport a San Marino" (Marino Ercolani Casadei, 1983) and "1959-2009 - Comitato Olimpico Nazionale Sammarinese" (CONS, 2009).